United World College of South East Asia is a member of the UWC movement, a mission-driven organisation with a strong commitment to the education principles of Kurt Hahn, their founder, and a passionate belief in the importance of education as a means for good in the world. The UWC movement makes education a force to unite people, nations and cultures for peace and a sustainable future. The UWCSEA String Orchestra is comprised of enthusiastic musicians between the age of 9 and 15 from UWCSEA Singapore. The school has a strong background of producing excellent musicians, some of whom have gone on to study at The Juilliard School of Music in New York. The students perform regularly in solo recitals and orchestral concerts. Our vigorous Music Department is made up of 30 plus music teachers, over 600 instrumental lessons and 15 ensembles that rehearse each week. Jacqueline Hanna graduated from Auckland University with a Bachelor of Music (Performance) in violin-playing then went on to obtain a Graduate Diploma of Education from the Queensland University of Technology. She is an accomplished violinist, having played in the Auckland Philharmonic Orchestra, Queensland Pops’ Orchestra, and a number of professional chamber ensembles. Jacqueline has been fortunate to study under the wonderful tutelage of some of Australia’s best music educators. 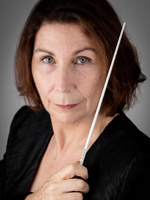 While working for Queensland Education she developed large active string programs and her string orchestras regularly obtained awards in the Gold Coast Eisteddfod and Queensland Festival of Music. Several times her orchestra achieved the award of ‘Most Outstanding String Orchestra’ and her students frequently played in the Winners’ Concert. Jacqueline is a passionate advocate for quality music education. She is currently employed by UWCSEA where she teaches Middle School classroom music, directs the vibrant String Program which is comprised of 6 large string orchestras, organises masterclasses and workshops with internationally renowned pedagogues, and gives lessons in violin and viola playing. 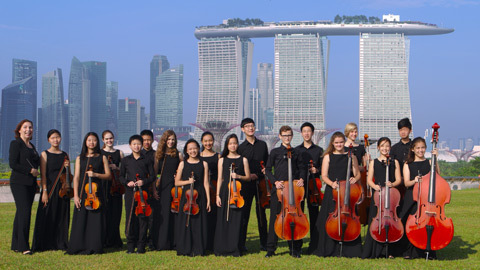 Jacqueline is delighted to conduct the UWCSEA String Orchestra for their first Concert Tour of Salzburg and Vienna.